Of all the movements in painting – or art more generally – Impressionism must be commercially the most successful, and the most loved by the public. This is reflected in a literature which sprawls from pocket paperback, to coffee-table elegance and academic rigour. it makes purchase compelling. Although not known for his books on Impressionists, Norbert Wolf has written extensively on painters, from Dürer to Picasso, so we should expect this book to break new ground. Large even for a large-format art book, and lavishly illustrated (I agree completely), the book opens with spectacular double-page spreads of a series of paintings: Degas, Monet, Turner, Manet, Pissarro, and Monet again. As there are no captions given to these, the only way that you can identify them is to leaf through the book and locate other images of those works, a fault repeated periodically throughout the rest of the book. which smacks strongly of Google Translate on an off day. And so it continues for several hundred more words before you stand a chance of gathering what the “second pole” really is. That last sentence reached 99 words in length, and I fear is still not the longest in this book. 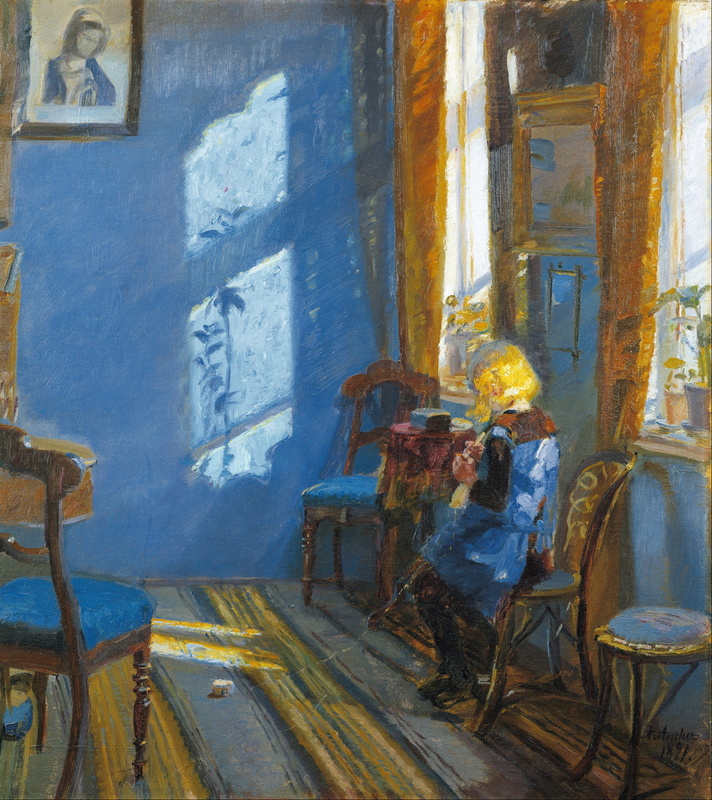 In the end, Wolf terms this ‘synthetic Impressionism’, as against ‘optical Impressionism’. If it were rewritten in more accessible language, so that we did not have to reach for that dictionary to discover that persiflage means light banter or frivolous talk (page 23), I still have major reservations about Wolf’s account of Impressionism. I also doubt the claim that this book incorporates “the most recent research” as billed. One important area in which there has been recent progress is in understanding the making of Impressionist paintings, a field in which Anthea Callen has been key. I recently (and perhaps over-critically) reviewed her book, The Work of Art, which covers similar ground. Although that was published too late to expect Wolf to have considered it here, her previous publications and related work are essentially ignored (and pass uncited). Whilst I appreciate Wolf’s reluctance to attempt a historical account of Impressionism, like it or not, the style and subjects of Impressionist painting changed considerably over the period 1860-1900. Most would consider Turner was clearly not an Impressionist, that Manet was a pre-Impressionist but not an Impressionist, and that Cézanne was only an Impressionist for a short period, before he became a post-Impressionist. However by darting around their assorted works out of any historical context, as this book tends to do, the clear and meaningful evolution of Impressionist style is confounded. Wolf appears to treat Impressionism as single (or perhaps “bipolar”) property which changes but little, and I for one am still not entirely sure what his criteria are for Impressionism of whatever pole. By comparison with Callen, his coverage of plein air painting and technique is brief and not particularly helpful. 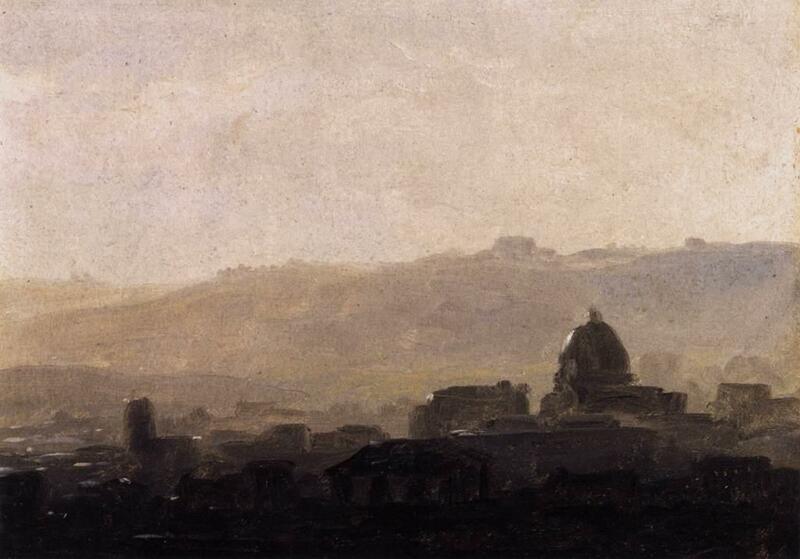 He all but overlooks the evolution of plein air during the late eighteenth and nineteenth centuries, and gives very poor examples of that evolution: paintings such as Turner’s Rain, Steam and Speed. The Great Western Railway (1844) rather than any of Constable’s extensive plein air oil or watercolour sketches. He does make the important link to the Macchiaioli, but again choses a fairly conventional studio painting – Lega’s The Pergola (1868) – rather than a typical small plein air oil-on-panel work. His Corot is too late, and was almost certainly finished in the studio, as were most of his other examples. 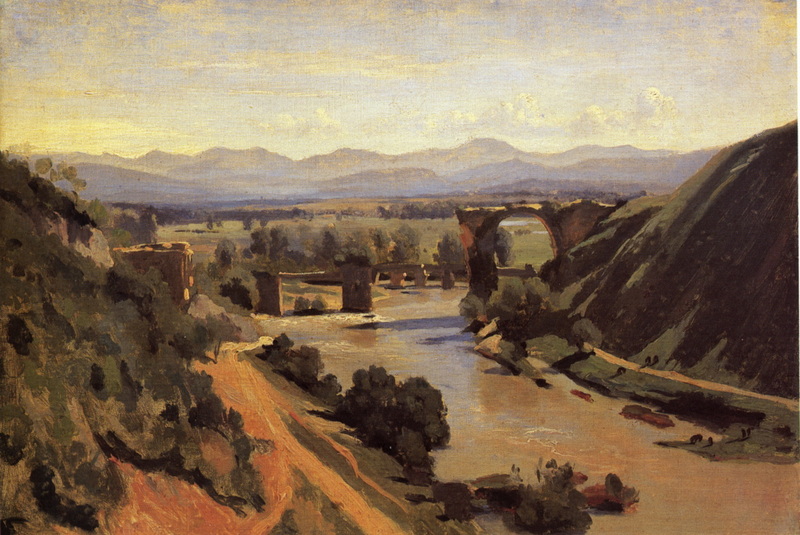 He repeats the old fallacious claim that plein air oil painting was greatly facilitated by the introduction of paint tubes after 1840, which he refers to an exhibition catalogue from 1990, rather than considering more recent work which has shown that the Impressionists continued to use bladders of oil paint long after the availability of tubed paints. He does not mention the importance or effect of changes in the availability of high chroma pigments. His coverage of the rural landscapes of Pissarro, Sisley and Cézanne is almost absent, deferred to a much later chapter. There is also no coherent account of series painting, used extensively by Pissarro, less so by Sisley, and almost obsessively by Monet. He mentions this in passing on page 160, but misses the fact that Pissarro also painted many and large series. He does discuss Monet’s series later, though, as if it was a quirk of that artist. The final hundred pages or so presents brief accounts of first the French Impressionists themselves, starting with Manet, headlined as “the ‘head’ of Impressionism?”, rather than as a pre-Impressionist. Thankfully the text seems more readable here, perhaps because it is more narrative and less conceptual in content. 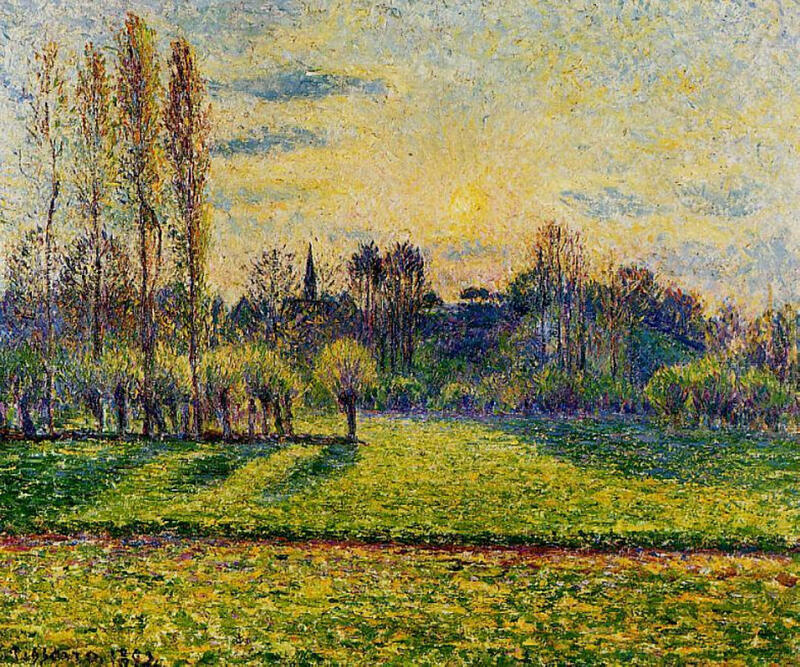 He chooses a modern balance, in that Monet takes a less than leading role, and Pissarro is better recognised. 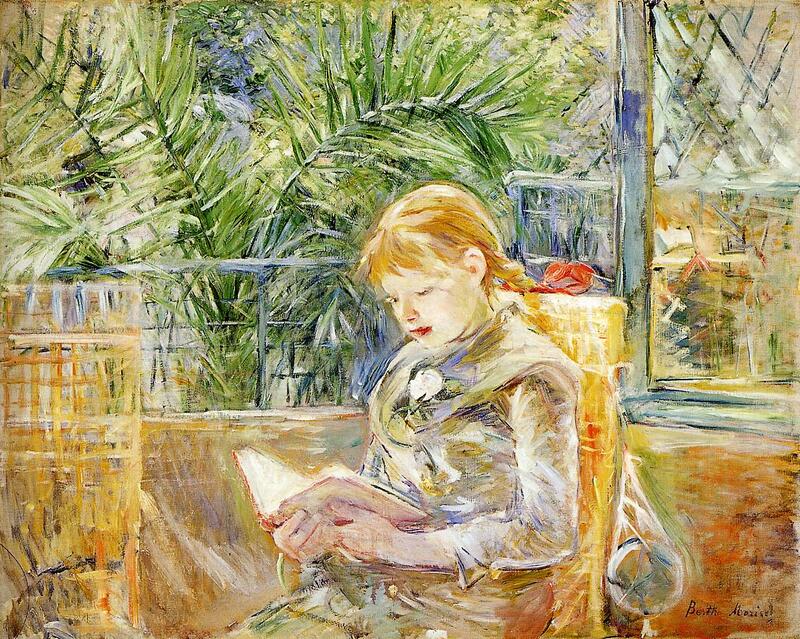 Berthe Morisot gets appropriate attention, as does Mary Cassatt, and he finds a little space to mention Marie Bracquemond and Eva Gonzalès. Caillebotte is rehabilitated from being a mere patron and collector, but he sticks to convention in treating Sisley as a minor figure. He then covers the expansion of the movement to the USA, UK, Germany, gives a rather odd account of Scandinavia which covers Edvard Munch in more detail than all the artists of Skagen, and offers a very brief look at Russia. The final chapter looks at where Impressionism went. This opens with a less comprehensible account of Monet’s later work at Giverny. He then moves on to other art forms, including music, photography and sculpture, but these are too brief to be anything more than teasers. The last two sections consider Neo- and Post-Impressionism, and Modernism. He does not seem to mention Pissarro’s foray into Neo-Impressionism, nor the crisis that the newer movement brought about in Impressionism, and he darts superficially through Cézanne’s very complex career. Modernism is treated even more briefly, which seems to serve little purpose. Occasional misprints pop up to confuse the unwary: on page 126, the substitution of Monet for Manet results in the disconcerting statement that Monet’s first plein air painting and his conversion to Impressionism was in 1872-3! The book’s end matter is as frustrating as the pages preceding it. Nearly 300 end-notes are dismissed in three pages, mainly of secondary references, few of which are from the last decade. Its two page “selected bibliography” refers primarily to books which are already out of print, many of them German translations of English originals; the process of translation should extend to recasting a bibliography in the destination language. The list of works shown is given only in alphabetical order of the artist’s surname, and does not indicate which images are complete and which are only details. There is a single index, of personal names only, making it impossible to look up concepts or definitions, or major subjects such as plein air painting. You should by now have gathered that I am deeply frustrated and disappointed by this book. The text needs to be completely rewritten in accessible, understandable, and idiomatic English before it is worth re-issuing. Until then, I suggest that you save your money. Or at the very least browse a copy carefully before committing to its purchase. Posted in Language, Painting and tagged book, Impressionism, painting, review. Bookmark the permalink.